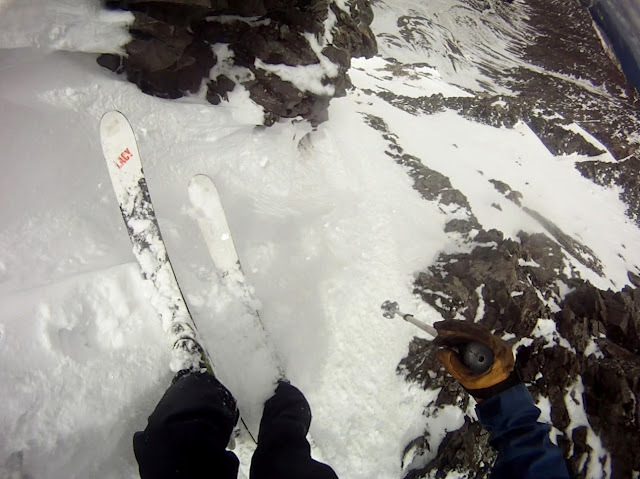 Last Saturday Jordan and I headed up Stevens Gulch with hopes of skiing Mt. Edwards. 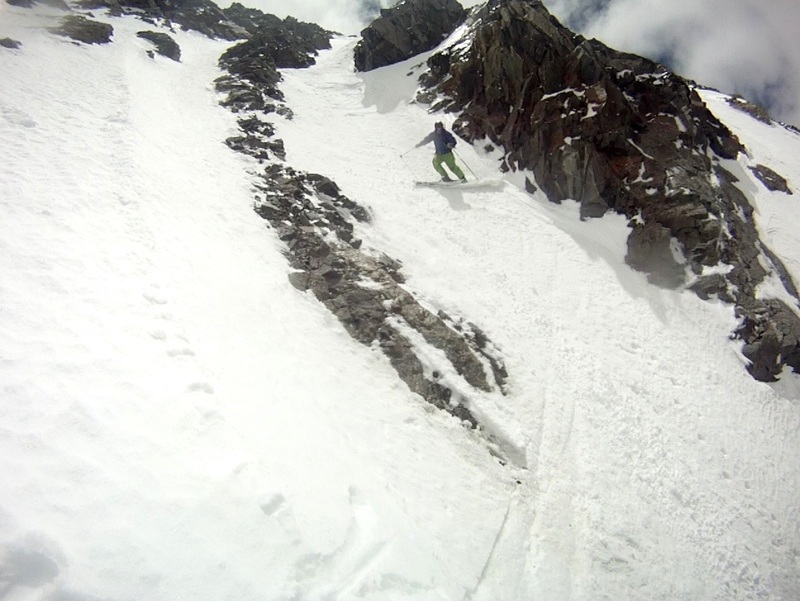 When we skied the Goat's Finger during the monster spring 2011 we'd seen the thin snaking lines that drop off the summit of Edwards. 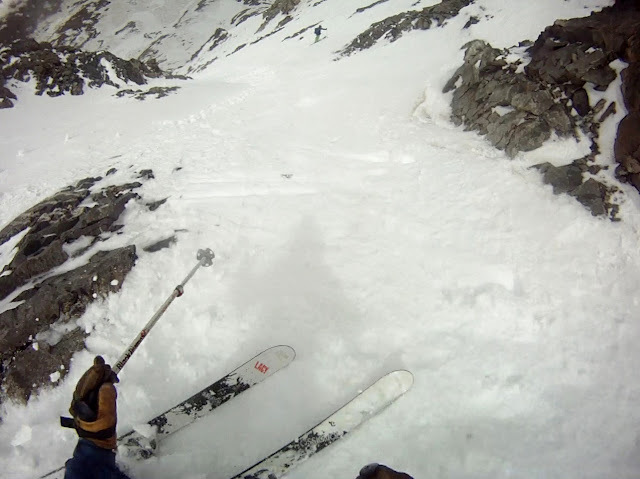 With this year's great coverage up high, we were excited to see what we could find. 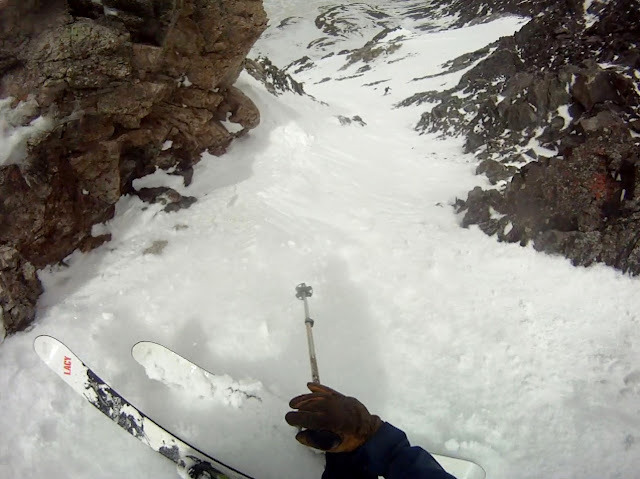 With snow and heavy winds in the days leading up to Saturday, we were stoked to find creamy spring pow in the line. At the bottom we ran into our old friends Jeff and Hans, who had just finished another unique and rarely skiable line off Edwards' north face. Overall, a great day. Really fun to have a steep, complex and accessible mountain all to ourselves while lines of people streamed by towards the more famous summits of Grays and Torreys.